Oil is poised for the longest weekly declining run since August as equity markets resumed their slide and OPEC sent conflicting signals on supply. Futures in New York slipped as much as 1.3%, on course for a third weekly drop. Stocks in Europe fell along with US futures while Asian shares sank deeper into a bear market. OPEC signaled Thursday it could cut output next year due to concerns about rising oil inventories and economic uncertainty, changing its position from just a few days ago of pumping flat out. All of crude’s gain in August and September has vanished in October. The equities rout is highlighting uncertainty over the global economy, there are growing concerns about the strength of oil demand and crude inventories in the US are rising. Still, doubts remain over whether OPEC is willing - and able - to replace supply losses when sanctions on Iran officially start in just over a week. "Equities have resumed their decline and that is dragging oil down again," said Giovanni Staunovo, an analyst at UBS. "The market is showing how much the sentiment has shifted once again. A month ago it was bullish, now it’s bearish again." West Texas Intermediate for December delivery fell as much as 88 cents to $66.45 a barrel on the New York Mercantile Exchange, and was at $66.68 at 11:18. The contract gained 51c on Thursday. Total volume traded Friday was in line with the 100-day average. Brent for December settlement was 51c lower at $76.38 a barrel on the London-based ICE Futures Europe exchange, after rising 72c on Thursday. Prices are down 4.3% for the week. The global benchmark crude traded at a $9.71 premium to WTI for the same month. 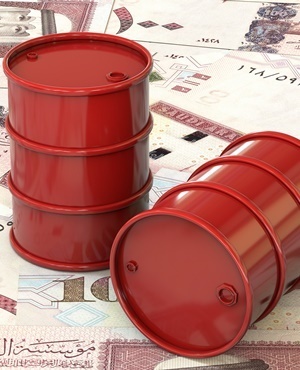 A committee of crude producers including Russia and Saudi Arabia highlighted on Thursday the need to prepare "options" for how much oil they should pump next year to prevent the market slipping back into imbalance. "OPEC likely has a comfort zone of about $75 to $85 for Brent and is indicating it can cut output as prices approach the lower end," Staunovo said. "At the top they were saying we can pump more." The Stoxx Europe 600 Index is headed for the lowest since December 2016 and the MSCI Asia Pacific Index fell to the lowest in more than a year. French oil major Total SA declined as much as 3.5% even after reporting third-quarter profit that beat analysts estimates. Gold - a safe haven - surged to a three-month high.